Want to win a solar-powered cell phone charger? Now’s your chance! UCLA Office of Residential Life and UCLA Housing & Hospitality Services are hosting the annual Sustainival Fair on October 19th, 2017 in Sunset Village. 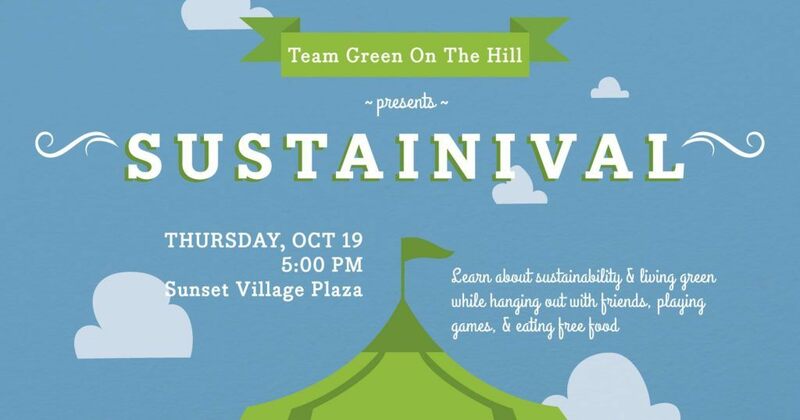 Sustainival brings vendors, games, sustainable giveaways, and FUN to the Hill. Don’t miss out!